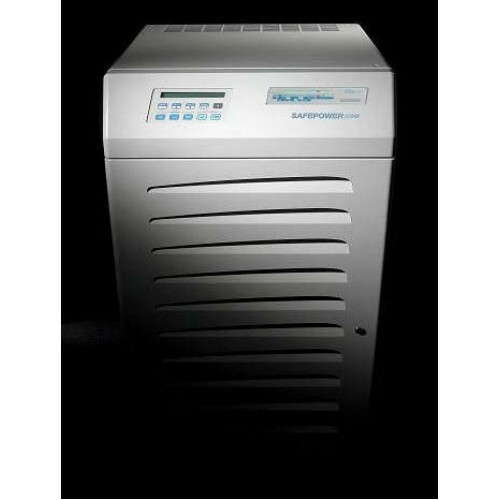 Safepower Evo UPS double conversion (VFI-SS-III), are distinguished for small dimensions in relation to the power unit; with IGBT inverter system and “Battery Health Guard” permits an increase in the lifespan of the battery resulting in savings. Data center, telecommunications, banks, hospitals, and industrial processes all applications for which energy delivery has often vital importance, with Safepower Evo no longer have to fear dramatic blackouts or dangerous voltage fluctuations. A user friendly interface enables to remotely monitor any UPS. Provided with multiple levels of monitoring and diagnostics, calibrated according to the complexity of the system and user requirements.